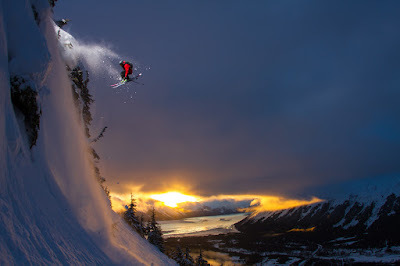 Day 4 Photo- We visited Alaska for a two week shoot for Powder magazine. We only saw snow and clouds the entire time and while the snow was deep, my hopes for getting some sun had all but vanished. On the last day we were shooting I noticed the clouds were breaking up and it was almost sunset. I scrambled the crew and got our gear as fast as we could. I had looked at this cliff before and thought it was the best option for a sunset shot and so we headed there and set up. This light only lasted maybe 5 minutes and as @samcohen spun off this cliff I popped a flash and that was it, the light was gone. It was incredible how little time we had to pull this off, but meshing the ambient light with a little strobe worked perfectly. Still one of my most favorite shots from the last few years. Day 6 Photo- Today's photo is from a golden sunrise on Mt Superior with @kevinbrower. Spinning to win on this natural feature. I love the soft lines of this feature combined with the sharpness of the skier. Day 1- I have had the honor of working with Mammut for the past 7 or so years and am really excited to share with you some of my work. 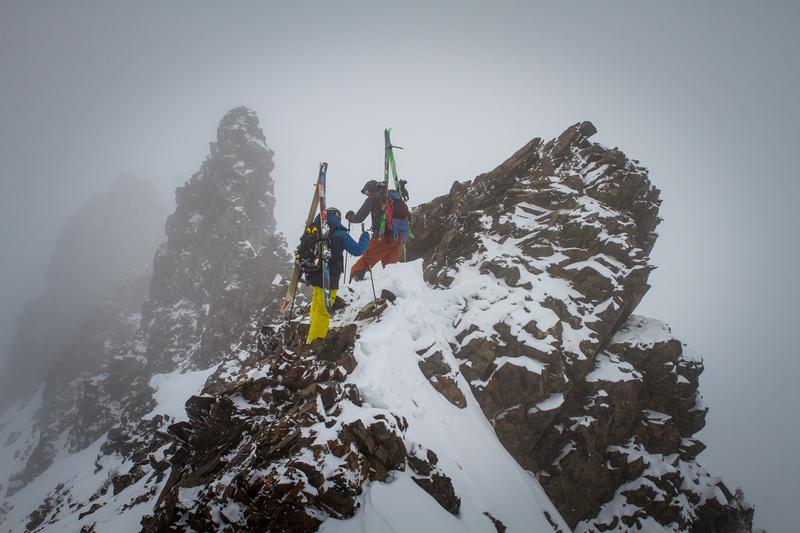 First up is one of my favorite shots taken on top of the Pfeifferhorn with good friends @ktmillerphoto, @alex_taran and @brodyleven. As we approached the top of the Pfeiff we could see it was covered in rime and ice. We were there late in the day to catch the light in the couloir and it made for some amazing back light on top. Winds were blowing so hard they couldn’t hear me from even 50 yards away but somehow we communicated enough for them to move into place for this photo. After this we made our way down the couloir for some pretty crappy snow and some good times rapping the mandatory 40 foot cliff. The North West Couloir is a Wasatch Classic and even though the snow was not that great the ambient feel of the adventure was all time. Day 2- Hi there @stevelloydphoto here doing an instagram takeover for Mammut. A few years back @deanlords invited me to join the Mammut team at the Ouray ice festival. I had never Ice climbed before but thought it would be a great experience. Turns out I really fell in love with it and have climbed and photographed ice ever since. This shot was taken of my good friends Matt and Sarah park AKA @thebuslife in Joe’s Valley Utah. Desert climbing is like no other. Red rocks, sage, and dirt roads lead to most of these climbs. This climb is called the Spear of Fear (WI4) and doesn’t form most years. But when its in, it is something special. 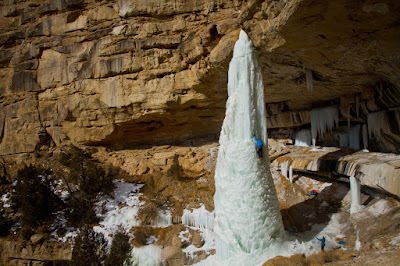 It really was a treat to climb and photograph this ice. 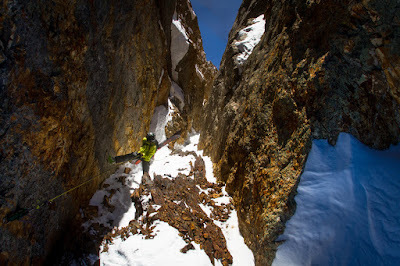 Day 3- The Heart of Darkness is one of the most interesting couloirs in the Wasatch. Crappy skiing, barely wide enough to make a hop turn in, and usually really boney inside. But it makes up for it in ambiance and aesthetics. The walls tower over you hundreds of feet and if you catch it at the right time it glows a brilliant orange color. This is my good friend @ericbalken rapping into the Heart. 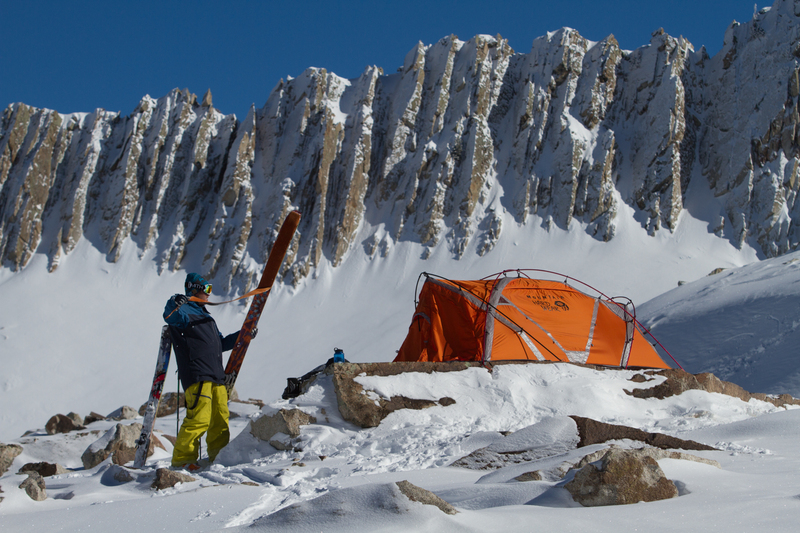 The late Alex Lowe named this couloir after the novel The Heart Of Darkness and the name couldn’t be more fitting. 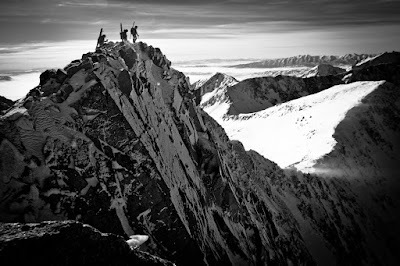 This shot was taken by @stuckinarut721 as @tonypavlantos and I made our way across Cardiac Ridge and continued to sundial to ice climb a route. The thick fog socked in and made these formations really have some character. Somehow fog can always change the mood to something magical or scary in an instant. In this case it made things magic for me.